Brightpearl is an inventory management software designed to automate the back office processes of retailers and wholesalers. Its features include order management, replenishment, financial reports, inventory, warehousing, and more. In this article, we cover user reviews. Ready to get started with Brightpearl? Request a demo. Users who gave Brightpearl a positive review said that it has a centralized inventory system which helps to reduce stock-outs and sales opportunity loss. Ease of use was also consistently cited. One user who gave Brightpearl a positive review on GetApp shared that it effectively tracks orders and inventory of multiple warehouses. He added that it allows him to manage all their customer and accounting data in real-time. He also commended its seamless integration with e-commerce and payment solutions such as ShipStation and PayPal. Users who gave Brightpearl a negative review reported its lack of multi-currency functionality. Some of them also complained that the customer support team takes a while to respond to their questions. One user who gave Brightpearl a negative review on Capterra shared that the website crashes during peak hours. He added that the reporting tools are difficult to customize. He also mentioned that the customer service team is located in a different time zone causing delays. Brightpearl does not publish their prices on their website, but according to a third party source, their prices start at $375 per month for 3 users. They offer customizable pricing plans depending on the needs of the business. Ready to get started with Brightpearl? Request a demo. What types of businesses can benefit from Brightpearl? Brightpearl can be used by a wide range of businesses including home and garden, fashion and footwear, sporting goods, beauty products, and more. 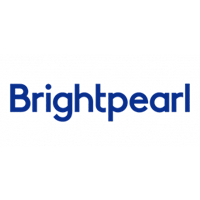 How does Brightpearl help wholesalers simplify their complex order fulfillment process? Brightpearl users can simply choose the relevant warehouses or suppliers to fulfill orders for their wholesale clients. It allows them to drop-ship, partially fulfill, process back orders, and complete back-to-back ordering to meet the varying needs. Not sure if Brightpearl is the right fit for you? Read our reviews of all top inventory management software or check out one of these three Brightpearl competitors.